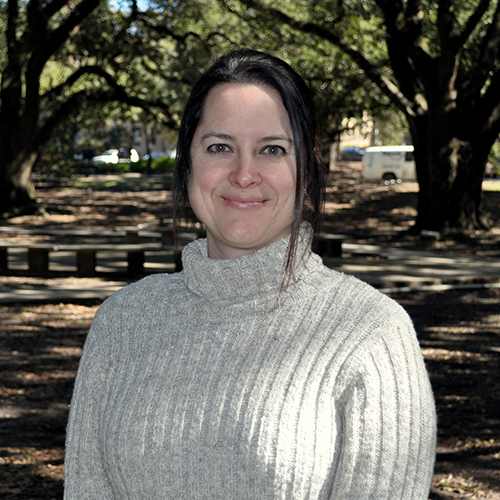 Darcy has worked for LSU IT since starting as a student worker answering phones at Campus Information in 1994. Upon graduation in 1999, Darcy was hired on full-time to work in the Finance Office of Information Technology Services. Darcy managed the daily administrative functions such as organizing travel, inventory, budgeting, account balances, direct deposits, and procurement for all departments housed under the umbrella of ITS including LOUIS. She also coordinated the Microsoft Campus Agreement project bringing to faculty, staff and students the Microsoft suite of products at a competitively discounted rate. She was also responsible for balancing and tracking the institutional budget which was created to allow funding for software and other initiatives to assist campus wide functions both administrative and research based for faculty, staff and students. Darcy was very excited to join the LOUIS team when they moved to Board of Regents and is working in a similar capacity, coordinating travel, conferences, meeting with LOUIS members across the state, managing the budget and other finance office functions. She looks forward to meeting and working with all members of the LOUIS consortium.